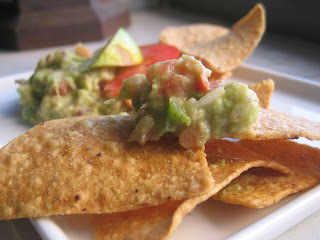 There are a gazillion guacamole recipes out there, a gazillion! If you take a look around you'll see the same basic ingredients of avocado, lime, onion and salt. Those ingredients will produce a basic guacamole, probably a little bland, but still guacamole. From there the options are endless, further typical ingredients are usually hot peppers, tomato, garlic, a hot sauce or even a seasoning like cumin and maybe cilantro (although I never use this because I despise cilantro!) Oh, and don't forget one of my favorite secret ingredients - bacon! So what constitutes a great guacamole? Personal preference and flavor profile. Seriously, it's all up the the individual consumer. 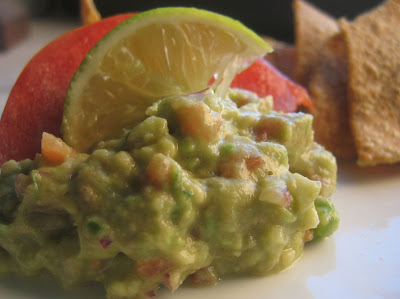 Some like more heat, some like more lime flavor and some prefer a highly seasoned guac'. For me I have a base recipe that will change depending on what I have available. If I don't have a jalapeno pepper on hand, I might go for a poblano or a Serrano chili. And it will depend on the avocado- if it's a little flavorless I'll find myself adding in some chopped parsley, fresh oregano or chili powder. 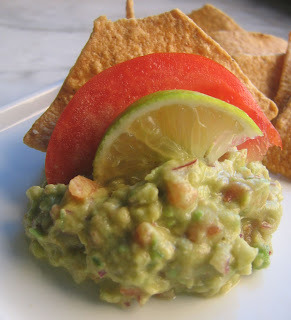 Below is just one version of guacamole - nothing outrageous, but the addition of the sriracha sauce gives it just a little flavor variation. I would add a slice of crispy bacon if I had some available. And I don't think I need to tell you to use guac on more than just chips - put it on sandwiches or mix it into pasta salads for a fun picnic option! No matter what, start with an avocado and and build from there. Consider it a fat and happy adventure. Tips and Techniques: Remember to be careful with the jalapeno - wear gloves or use a little syran wrap to keep from touch the pepper. The heat that gets on your hands will transfer to whatever body part you touch...eyes, and private parts being the most painful...I've seen people in much pain over this! Really! Mash your avocado with a fork, leaving some chunks; add the rest of the ingredients and mix. Serve immediately. I've kept Guac overnight (set the large pit in your guac to help it keep better- but it is really best the day you make it. And it's so quick there's really no reason not to.